won't turn out right or I will be broken in life. How does one overcome this fear? May be if you had mentioned a specific problem which is causing this fear to grow then it would have been easier to deal with. Nevertheless, you should adopt the following things which would surely help. 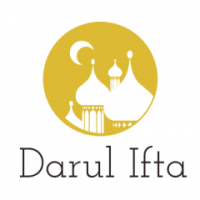 Taubah and Istighfar: it is really important that we create a healthy relationship with Allah, this will in turn have a positive effect on our relation with the creation. We must repent to Allah sincerely for all the sins we have committed and make up for all the missed obligations. Similarly we should ask forgiveness from all the people we have hurt and discharge all the rights we owe to them. Shukr: It is really important that we show gratitude and appreciation constantly for everything that Allah has given us. Similarly, we should thank Allah for giving us a spouse. We should look at all the good they have and appreciate it. We should realize that every person has defects and no one is perfect. Be content with what Allah has given you and do not wish for the pomp and glitter which other people have. Sabr: We should realize that this life is temporary and really short. Allah has given us this life in order to test us with various afflictions and see who does the best deeds in the face of these trials and tribulations. We should be patient and firm and realize that we all belong to Allah and we shall all return to him. Allah tests everyone differently so we should not think that why are we tested in this way. Trials and tribulations should draw us nearer to Allah, and we should repent to Allah and let go of all the sins. If the trials draw us nearer to Allah then these trials are a mercy from him, otherwise it can be a punishment from him. Allah says “O you who believed, seek help through patience and salah, indeed Allah is with the patient.” Surah 2 ayah 153. Dua: We should constantly be doing dua to Allah and asking him to help us in maintaining our relationship. The best times for dua is 1) after every salah 2)On Friday especially before Maghrib 3) Last part of the night before fajr time etc. Understand the relationship: The relationship of a husband and wife is one of love, respect and mutual understanding. Allah has said “They are clothing for you and you are clothing for them.” Surah 2 ayah 187. Therefore, just like the clothing protects the body from coldness, heat, etc. and specific protective clothes are made for specific tasks so that it can protect against accidents etc. the spouse should protect each other physically and emotionally. The clothing hides the defects of the body and adorns it. Similarly, the spouses should make a habit of overlooking the defects and mistakes of the each other and focus on the good aspects. If there is a problem which needs to be addressed then we should manage it with love, respect and wisdom. We should adjust our ways as far as Islam allows so that we can get along with our spouses, even if this means to get rid of our old habits etc. Change your lifestyle: Just like we need to sometimes change our diet in order to get rid of an illness and regain our health, we should try changing our lifestyle in order to get rid of the problems in our life and maintain a healthy relationship with our spouses and family. We should constantly try to improve our relationship even if it means to take anger management courses, consulting a psychiatric or a counselor and a spiritual mentor and sheikh.